The Housing Authority of the City of Franklin has been providing affordable housing to families in need for over 40 years. Today we serve approximately 230 families in the City of Franklin, from young families to senior citizens, and those with special needs. The Housing Authority of the City of Franklin will provide safe, affordable housing to law-abiding, economically responsible families. The Authority is governed by a Board of Directors that is responsible for establishing the policies under which the staff operates the various programs. The Board meets on the fourth Wednesday of each month. 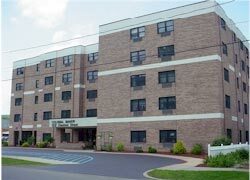 The public and assisted housing programs are implemented by four administrative staff members and two maintenance staff members.